Browse > Home / Strategy / Articles / Vintage 101: More Masters Sets Please! Once upon a time I was infatuated with Modern. I loved playing Tron, Melira and Kiki Pod, and a little Splinter Twin. Unfortunately none of those decks survived intact (although Tron is still different-but-playable). Even though I haven't been playing the format I still really like the idea of it. I have dealt with rotations since the late nineties in one form or another and that's just not something I have time for now that I'm a surly old man. The non-rotating, pseudo-eternal nature of Modern and its relatively deep card pool make it something I have enjoyed immensely in the past. 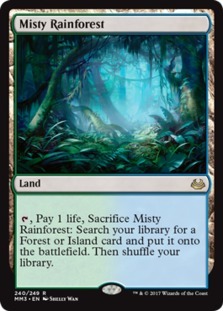 So, when I saw the spoilers for the new Modern Masters I was really excited by it to say the least. To me the most exciting thing about Modern Masters 2017 is that the set has staples with implications far beyond Modern. There are Legacy and even Vintage staples in the set. 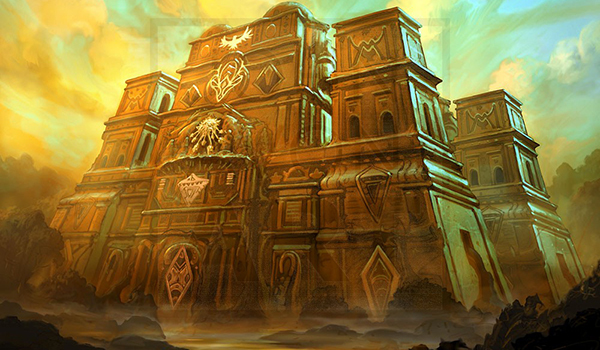 The primary draw is obviously the fetchlands, but things like Cavern of Souls, Tarmogoyf, and Lilliana of the Veil see varying degrees of play in Vintage and Legacy. If you take a look at my Vintage article from a couple of weeks ago you can see a budget (proxy) Delver deck. In that deck I removed the Power Nine and Dual Lands as they were the priciest cards. 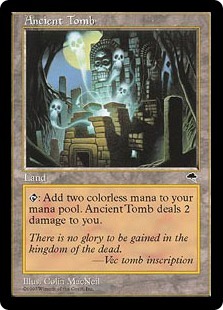 One of the more expensive items in the list that was left over would be the fetchland mana base. 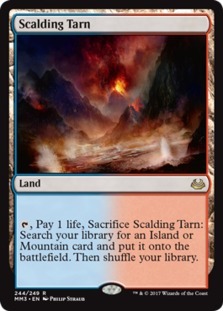 As I have mentioned a few times before, the best fetchlands for those decks are Scalding Tarns, and now those Tarns should be somewhat easier to obtain. I know that the price of those cards is small compared to the Power Nine, but when you're trying to build a deck for Vintage every dollar counts. For those that want to build the best possible mana base the long-awaited reprint of the Zendikar fetches is a tremendous boon. Reprint sets are certainly fantastic for enabling new players to dive into their eternal format of choice, but equally as important are the tournaments themselves. Last week I mentioned that I would try to highlight some of the paper Vintage events that have been going on recently, and I like to stick to my word. I read some reports of a new Vintage tournament series in Arizona, and as luck would have it the event organizer took the time to post the results on this very website. Let's take a look at some of the tech! That is quite the interesting Top Eight! There's only one "taxing" deck, the White Eldrazi list that took down the entire event. The two Mentor decks are par for the course though. The remaining decks are somewhat unexpected. There are two Paradoxical Outcome combo decks, but both of them are the very new Oath of Druids versions popularized by The Atog Lord. The Blue-White Landstill list looks like a new take on a old archetype. In seventh and eighth place were Five-Color Humans and a Tendrils deck. Let's take a look at the winning White Eldrazi deck featuring Thalia 2.0! White Eldrazi has been a powerful deck ever since it burst onto the scene last year. The deck hasn't been quite as popular as of late, but it never went away. In the time that the deck has existed it has gone through many different iterations. The primary cards have all remained the same though; Thalia, Guardian of Thraben, Thorn of Amethyst, Eldrazi Displacer, and Reality Smasher. The other cards in the archetype have been changed in and out, or rotated from the main deck to the sideboard. 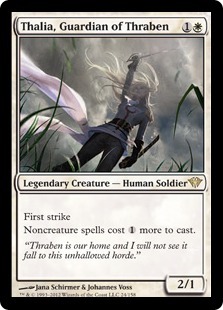 Some other popular (and contentious) choices for White Eldrazi include Containment Priest and Thalia, Heretic Cathar. A quick look through the recent tournament finishes by White Eldrazi shows that some folks have moved Containment Priest to the sideboard and removed Thalia 2.0 entirely. 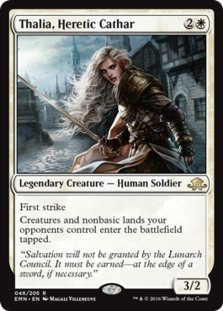 Connor Bair's list has chosen to bring Thalia, Heretic Cathar back into the deck as well as making room for three Containment Priests in the starting sixty. My only experience with White Eldrazi comes from playing against the deck, but I can say with confidence that Thalia, Heretic Cathar is very good against the decks that I find myself playing. However, I have also heard several Eldrazi pilots whose play skill I respect say that Thalia 2.0 is not good enough to warrant inclusion in the deck. I think that there is a valid case for either using her or not using her though; it just depends on the expected metagame. Containment Priest is amazing, but it's also a win-more card against much of the field. Eldrazi Displacer does a lot of work on it's own, so unless you expect the field to be stocked with Oath or Dredge it might be best to relegate the Priest to the sideboard. In the case of this particular event it looks like playing main-deck Priests was a good idea. I'm sure the two Oath decks in the Top Eight weren't thrilled about having to face a trio of main-deck Containment Priests! 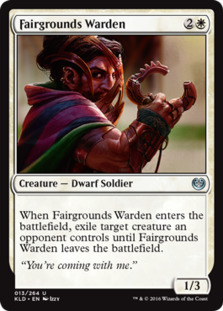 Fairgrounds Warden is a card that I haven't seen in a White Eldrazi list before. If more removal is needed this definitely seems like a good option as it can be cast through Thalia and Thorn of Amethyst. There are a few similar cards (like Fiend Hunter) that seem better at the job on the surface but each of them requires at least two white sources. Although White Eldrazi is technically a white deck, in practice it plays more like a colorless Eldrazi deck that splashes for some white cards. The number of true Plains in the deck is very low and they can't be fetched. Cavern of Souls isn't 100% reliable as a white source because there are several different creature types in the deck. 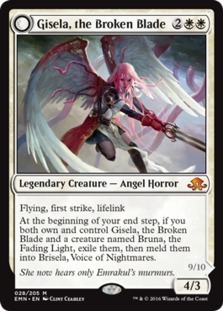 The other unusual inclusion in this version of W. Eldrazi is Gisela, the Broken Blade. I know what you're probably thinking and no, this is not a Vintage "meld" deck. Gisela isn't in here to be paired with that other card to make Briselabrand or whatever the name is. Gisela is in the deck to be a pseudo-Baneslayer Angel and nothing more. She flies over Moats, blocks and kills Lodestone Golem, and helps to stabilize against opposing decks with her lifelink ability. The double-white casting cost is probably a pretty big strike against her, but I'm sure it does some serious work when cast through a few Thorn of Amethysts. 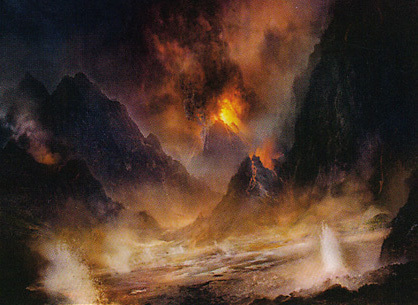 U/W Landstill has been cropping up again recently, this time without Emrakul, the Promised End. The shell of this deck is quite similar to the Landstill deck that won this year's Vintage Championships, but with a few subtle differences. Instead of Emrakul as a finisher this deck relies on Dragonlord Ojutai, a creature that is much easier to cast. Old Ojutai is pretty much the perfect finisher. Just like Morphling in the past, the Dragonlord provides a clock that's hard to deal with. Ojutai also provides card advantage, which is great in a control shell such as this. I also like the little bit of tech with the singleton Minamo (likely replacing a basic Island). 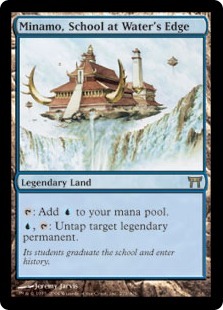 With Minamo, School at Water's Edge, the Landstill player can untap Ojutai in response to a removal spell to protect it. The opportunity cost of replacing one Island with the Minamo isn't asking much, and the upside is quite good. There's another somewhat unusual utility land in the list. Academy Ruins is a little tougher to include than Minamo as it doesn't produce colored mana, but being able to recur your Engineered Explosives is really good against token strategies. 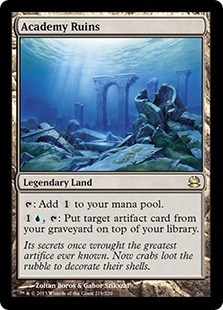 Crucible of Worlds is another powerful part of Landstill strategies, and Ruins enables you to always have your Crucible when you need it. Landstill decks have been seeing more play online recently, and I think that this type of hard control deck is quite good right now. The tough choice is which exact Landstill list is the correct one to play. Blue and white have become the default best colors for Landstill, but blue/red or BUG colored Landstill decks still have a lot of benefits they can offer. Red offers Pyroblast and Lightning Bolt, and BUG Landstill has the option of running my favorite removal spell of all time, Abrupt Decay. 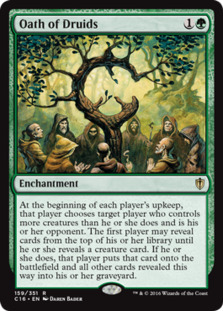 In the past it was somewhat common to run Monastery Mentor in a U/W Landstill shell as well. Lately people have gravitated toward strategies that include Moat, so Mentor has fallen out of favor. 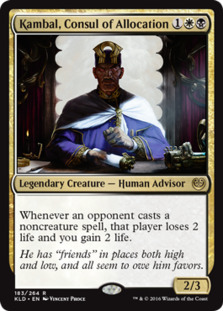 Even so the power level of Mentor is ridiculously high in Vintage, and I wonder if it's worth reexamining as an option for this strategy. 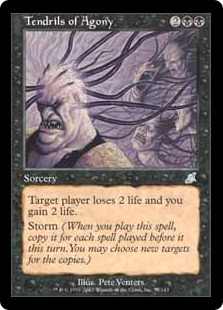 Paradoxical Outcome has my vote for the most exciting card in Vintage. If you've ever seen the card in action you know how insane it can be. Adding Oath of Druids to the deck as a way to combat the bad matchups is an interesting idea and appears to be working. 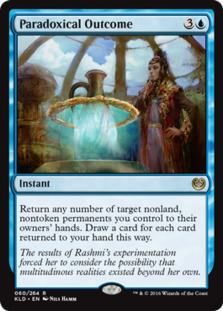 Paradoxical Oath performed well in this event, putting two copies into the Top Eight. 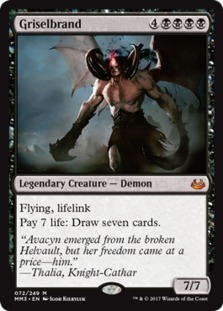 I've also seen another recent Top Eight for the archetype, and the deck seems to be picking up online as well. In my opinion it's too early to say if this deck is just better than the regular Paradoxical Storm decks or the Mentor/Outcome archetype, but the early results are very promising. Back in May of 2016 Micheal Ruppon won the Bazaar of Moxen with a new deck called Five-Color Humans. The deck has remained in the fringes of the format since that time, but nevertheless it is still a deceptively powerful strategy. 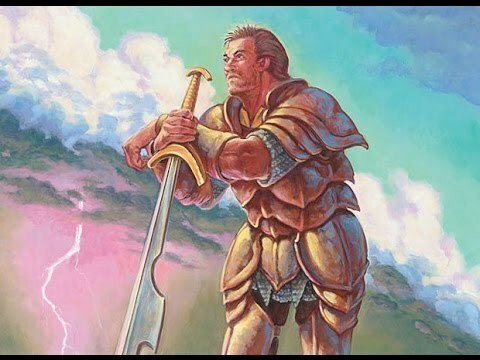 Five-Color Humans is the epitome of the disruptive value-based aggro strategy in Vintage. 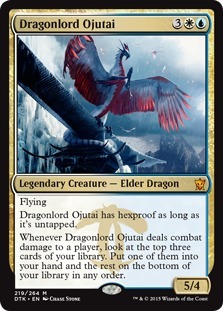 What we have here is basically a Thalia, Guardian of Thraben deck that uses rainbow lands to splash some of the most powerful cards in each of the five colors. For card advantage there's Dark Confidant and Ancestral Recall. For disruption there's Containment Priest, Kataki, War's Wage, and Qasali Pridemage. Tommy Kauffman also included a little bit of new tech as well. 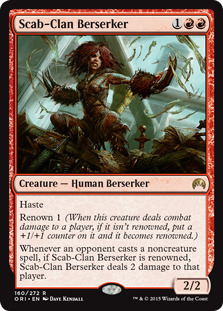 Scab-Clan Berserker was an important part of the original Bazaar of Moxen list, but Kambal, Consul of Allocation had yet to be printed at that time. The Berserker adds a unique angle of attack to this aggro strategy. With a renowned Berserker in play your opponent ends up taking damage when they cast any non-creature spell. Kambal has a very similar ability but it isn't as conditional as Scab-Clan's ability is. The deck has eight copies of Pyrostatic Pillar on legs, and I imagine it is a nightmare for opponents playing combo! My favorite thing about Five-Color Humans is that it is essentially a "fair deck" in a format full of "unfair decks". There are 29 creatures in this list, 20 lands, and some assorted spells and mana accelerators. For the most part this deck would play out in a way that's familiar to Modern or even Standard players. Most of the time you'll just be playing creatures and turning them sideways. Even though it is relatively simple it has powerful tools for taking down far more degenerate decks. One of the best cards in this archetype is Cavern of Souls. Most of the creatures are humans, so Cavern can reliably make key hatebears uncounterable. 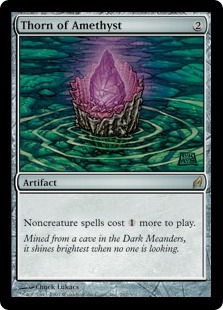 Cavern also makes the mana much easier to manage as it acts as a painless rainbow land for nearly half of the deck. Over the course of the past two years I've tried a wide variety of the major decks in Vintage. I have yet to have the opportunity to play any of the "Null Rod Aggro" decks like Hatebears, Merfolk, or X-Color Humans. If I was able to pick any of the aforementioned decks up I would most likely choose Five-Color Humans. The deck seems like a ton of fun to play and when I've played against it, the deck impressed me quite a bit. Five-Color Humans has remained a fringe deck since it's inception but I think it's much better than people realize. I'm almost out of time for this week, but before I go I'll leave you with a link to some Australian Vintage action. In keeping with my promise to spread the word about Vintage events around the world, here's a link to Adelaide Eternal's Youtube page. Thanks to TMD user Sarven for letting me know about it. If you're a Vintage tournament organizer feel free to let me know about your events too!